The writer is a former Detroit News business reporter living in Los Angeles. He is a contributor to Deadline Detroit. When Bob Giles arrived in town 30 years ago, The Detroit News was a newspaper that did Motown and Michigan proud. With a paid circulation of about 650,000, the daily, delivered newspaper was the biggest in the state and among the top ten in the country. It also was one of the nation’s leading conservative voices: Tom Bray, the editorial page editor, came from The Wall Street Journal, and Tony Snow, his deputy, later became press spokesman and chief speechwriter for President George W. Bush. Giles was the editor sent by Gannett Corp. to weaken The News, and bolster the profits of the Free Press, which Gannett eventually shared under a joint operating agreement that was supposed to ensure the healthy survival of both papers. Thanks to decisions made by Gannett, and executed by Giles, The News was irreparably crippled; its circulation today is just north of 100,000 readers and it doesn’t publish Sunday in print. Adding insult to injury, Gannett, which acquired The News in 1986, swapped the invalid publication for the Freep in a 2005 transaction that media analyst John Morton termed highly unusual. "This is further evidence," Morton said at the time, "of how financially driven these (media) companies are. The era of when newspaper companies had an emotional attachment to their properties has really withered away." Peter Bhatia, the Cincinnati editor Gannett installed five months ago to oversee the Freep, is the ghost of Bob Giles. As Deadline Detroit exclusively reported, the recent firing of Stephen Henderson, the Freep’s managing editor for opinion and commentary, was ordered by Gannett, not Bhatia, who apparently doesn’t have ultimate say over newsroom personnel. Henderson was terminated for “"inappropriate behavior" involving unidentified women that Gannett said was inconsistent with its “values and standards.” The Freep didn’t disclose Henderson’s alleged wrongdoing(s), save for this gratuitous tidbit: "There were no accusations or evidence of sexual assault." Henderson, a Detroit native who worked at the Freep for 18 years and won a Pulitzer Prize, disagreed with the decision and is considering legal action. He also said that no women filed any complaints against him and the incidents happened in social settings. Henderson continues to host "Detroit Today" weekday mornings on WDET and "American Black Journal" on Detroit Public TV. Both respected broadcasters, based and managed locally, gave Henderson green lights following internal investigations. The Freep said it launched an investigation of Henderson after Detroit minister W.J. Rideout III, without any evidence or substantiation, named him among other local media personalities who engaged in sexual harassment. So it seems fair game to mention allegations of harassment and other inappropriate sexual behavior that have been levied against Gannett. Lauren Ashburn, a former managing editor of USA Today Live and Gannett Broadcasting, published this article in The Daily Beast seven years ago claiming she was subjected to repeated sexual harassment "not at the dawn of my career as you might imagine, but when I was an established professional." Ashburn didn’t name Gannett, but as she founded her own media consulting and production company in 2010, it seems reasonable to conclude that’s where she experienced the harassment. Ashburn’s article prompted considerable discussion on this dormant blog about Gannett, where contributors disclosed sexual harassment and other inappropriate behavior they experienced or witnessed at the company, some of it inflicted by female executives. Perhaps Henderson’s lawyer will shed light as to whether his firing seems just knee-jerk deference to the #MeToo movement or an already demonstrated intolerance of sexual harassment. This much is known: Gannett’s values and standards don’t include a commitment to Detroit. The company recently outsourced the Freep's copy desk and page design functions to a content processing factory in Louisville that services nearly two dozen other third-rate newspapers Gannett owns. The affront is akin to when Comerica Bank in the mid-80s converted the vault at its once headquarters bank in downtown Detroit to a climate-controlled cellar to store the wine collection of its then CEO. The conversion was a harbinger of Comerica’s head office relocation to Texas. It is not inconceivable that Gannett might one day publish the Freep with reporters outside of Michigan. Until Giles arrived, the Freep and The News were engaged in a long and vicious war with each side determined to put the other out of business. Ad rates were about one-third the cost of comparable-sized newspapers, and the newsstand costs were also considerably lower than the national average: 20 cents for the Freep and 15 cents for The News. The Freep came out in the morning, and The News was historically an afternoon newspaper, although it ultimately published multiple editions throughout the day. The Freep was owned by Knight Ridder, a chain known for quality journalism, and The News was owned by the Evening News Association, part of the Scripps family media empire. In addition to competing with each other, the Freep and The News had to compete with top-flight journalists from other leading news organizations that maintained bureaus in what was the fifth largest newspaper market. For many years, managing editors at The Wall Street Journal were all previous Detroit bureau chiefs. Kurt Luedtke was an example of the extraordinary journalism that once worked in this town. 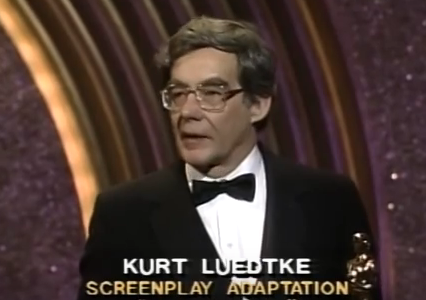 After serving as the Freep's managing editor in the 1970s, Luedtke received an Academy Award for his "Out of Africa" screenplay. Luedtke’s "Absence of Malice," nominated for a screenplay Oscar, is still the best and most accurate movie portrayal of journalism. In 1986, Gannett acquired the Evening News Association for $717 million, giving it control of The News. The company was infamous for ruthless cost-cutting and appallingly bad journalism. Most of its newspapers were in small and medium-sized markets with no competition. Gannett newspapers were run on a shoestring budget. Reporters even had to requisition pens and notebooks. Although Gannett launched USA Today four years earlier, the newspaper was much maligned as a McPaper because of its short stories and bold graphics. The News was Gannett’s first A-team newsroom. Gannett installed Giles, the editor of its mediocre Rochester newspaper, who brought along his managing editor, Christy Bradford. Giles quickly remade the newsroom, bringing in editors from smaller markets and with people skills as poor as his own. 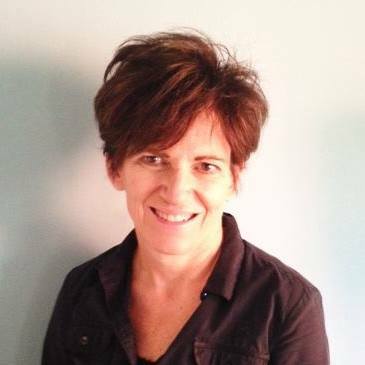 There also were some high-profile demotions of editors who didn’t fit the docile Gannett mode, including business editor Liz Spayd. Giles typically wore suspenders over colored Oxford shirts with his sleeves rolled up, his eyeglasses on his head secured by a band, and his tie strung over his shoulder. In short order, there were about a half-dozen male editors mimicking Giles’ sartorial style. They came to be derisively known as the Gannettoids. Gannett professed a commitment to hiring minorities and top editors were paid a bonus for increasing the percentage of blacks in their newsrooms. Unfortunately for Giles, he inherited some of the nation’s most talented – and fearless – black reporters who didn’t care for Giles or the assignments his minions were giving them. Led by Chauncey Bailey, a firebrand reporter from California, the black journalists staged a week-long byline strike. James Mallory, the deputy business editor and the highest black editor, openly supported the rebellion, knowing full well it would kill his career at The News. Almost immediately after its Detroit purchase, Gannett persuaded Knight Ridder to call a truce and apply for a joint operating agreement, a provision of the Newspaper Act of 1970 that let newspapers merge business operations but maintain separate newsrooms. The agreement required Justice department approval. To qualify, one paper had to declare itself a failing enterprise. 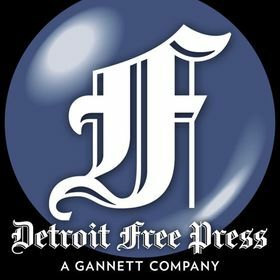 Knight Ridder offered up the Freep and suddenly declared that it would have to close those newspaper if a JOA wasn’t approved in a very timely manner. The ensuing political and business opposition to the JOA was one of the proudest moments in Detroit history. A coalition of Detroit and Michigan political, civic, and labor leaders, and other concerned parties, including Luedtke, demanded public hearings. Even Kmart Corp. voiced opposition to what everyone knew was a sham. "There is, to put it mildly, an incongruity in two newspapers, which have long championed freedom of information and open government, to then turn around and lobby against a public hearing," said Bob Berg, a spokesman for Mayor Coleman Young. Local opposition was so strong that when Knight Ridder executives came to town they used aliases when they registered at hotels and traveled in an inconspicuous van. Hearings were held and the Justice Department’s antitrust division and an administrative law judge both opposed the merger. However, Republican Attorney General Edwin Meese ignored the decisions and approved the JOA. A federal lawsuit to block the JOA reached the Supreme Court, which ruled 4-4 not to block the agreement. A majority vote was needed to stop it. The News soon killed its morning edition, essentially a death sentence ensuring the Freep’s supremacy. In 1995, the papers provoked a bitter strike that lasted more than a year. Many subscribers rallied around the workers and canceled subscriptions. Deadline Detroit’s co-founder Allan Lengel, was one of the strike leaders; Giles sent him four job termination letters during the course of the strike, each citing a different offense. The National Labor Relations Board ruled that management had caused and prolonged the internecine strike. Not surprisingly, there isn’t much demand for Giles’ textbook, “Newsroom Management: A Guide to Theory and Practice." Spayd, the business editor that Giles demoted, went to The Washington Post where she ultimately became managing editor. Mallory, who grew up in Detroit and was committed to the city, went to work for The Atlanta Journal-Constitution, where he rose to senior managing and vice president of news. Bailey moved back to his native Oakland and became editor of a local African-American publication. He was murdered by a bakery owner Bailey was investigating. Virtually everyone Spayd hired went on to senior positions at major publications, including The Wall Street Journal and Business Week. 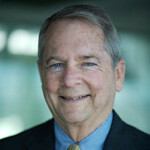 As for Giles, he retired from The News in 1997 and Joined the Freedom Forum, an organization funded by the Gannett Foundation. He later was named curator of Harvard’s prestigious Neiman Foundation, which provides mid-career fellowships to promising journalists. He retired seven years ago. Journalism pundits, consultants and apologists claim daily newspapers are close to extinction because the internet and social media disrupted their businesses. The ready availability of alternative sources of information and entertainment did create more formidable competition, but the industry’s downward slope began when badly managed chains like Gannett began gobbling up local papers and robbed them of their identity and ties to their communities. The business experience of Gannett and Knight Ridder in Detroit is a case in point. Even after the two media giants effectively were given a monopoly, they still managed to rack up huge losses. They had trouble combining their operations, and they alienated local businesses with dramatic advertising rate increases, which many refused to pay. Then they tried to break their newspapers’ unions when a substantial number of their readers were union members. The widespread level of local disdain Gannett and Knight Ridder created was no mean feat. Another example is the Los Angeles Times, controlled for years by the Chandler family of Southern California. According to a 2005 New Yorker article by Ken Auletta, the Times was known as a "cops and courts" newspaper, though its national and international reporting was also among the best in the country. In March 2000, the Chandlers sold to The Tribune Company, a Chicago-based media chain. Laventhol’s concern proved quite prescient. 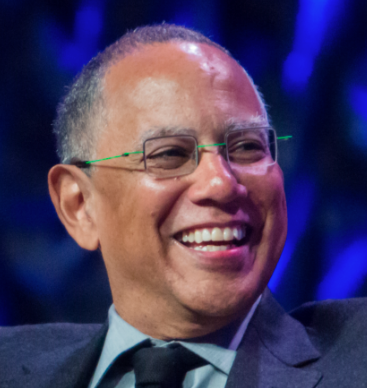 The Tribune Company installed John Carroll and Dean Baquet, hotshot editors from the east coast, to oversee the newspaper. Carroll and Baquet significantly boosted investigative reporting, brought in more editors from the east coast, and cut back on local reporting. Five years into his tenure, Baquet made this startling admission: "We haven’' mastered making the paper feel like it is edited in Los Angeles." Under Carroll and Baquet, the Times was awarded oodles of Pulitzer Prizes. The newspaper also went into a significant circulation tailspin from which it has never recovered. The Times has become a worthy competitor to Gannett’s newspapers in the race to the journalism bottom, hardly a surprise because until this month it was owned by a company that renamed itself Tronc. Underscoring the Times’ poor reputation in Los Angeles, you can now subscribe for $1 a week and get unlimited digital access and Sunday delivery. The Times was awarded another Pulitzer Prize in 2016, and The News, under Giles, also won one in 1994, underscoring the award isn’t indicative of a newspaper’s overall quality or service to its readers. Giles was a Pulitzer juror eight times. It's also not true that people won’t pay for content. The San Francisco Business Times, a local business publication, is understood to be incredibly profitable and doing a brisk business converting readers who click on stories that require a subscription. The SFBT focuses heavily on the financial services, real estate, and tourism industries and its weekly print edition is chock full of ads. Mark Calvey, it’s banking reporter, has covered his beat for more than two decades and knows Wells Fargo and Bank of America better than any journalist. The SFBT is running a $103 special for a one-year subscription, more than my annual subscription to The New York Times. Detroiters recently were reminded of the importance of having a locally owned newspaper. Crain’s Detroit Business filed the Freedom of Information Act request that uncovered the sweetheart deal Detroit and Michigan offered Amazon to locate its second headquarters here. There was a time when reporters at the Freep and The News would have beaten each other up to be first to report that information. Admittedly, plenty of people were delighted by Henderson’s firing. And it's tough to defend someone who once advocated, perhaps jokingly, a horrific and painful death for Lansing lawmakers supporting Detroit charter schools. This kind of disrespectful discourse is responsible for the low regard the public has for the media. 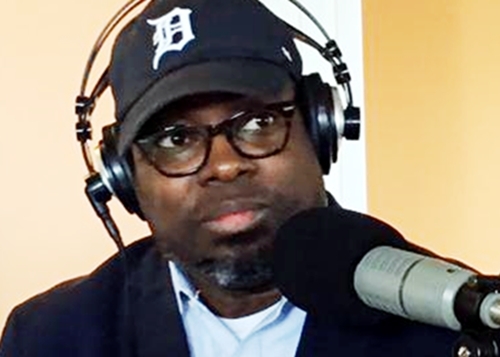 Nevertheless, there is no substitute for experience, and Henderson is a Detroit native with nearly two decades of local journalism knowledge. It's safe to say Henderson forgot more about Detroit than the collective knowledge of Freep copy desk in Kentucky. His Institutional knowledge can’t be replaced. Detroiters should demand the same character and resolve from the editor that oversees Michigan’s biggest newspaper. The city deserves better than a Gannett-owned Detroit Free Press.